Is this the face of the iPhone 4G? 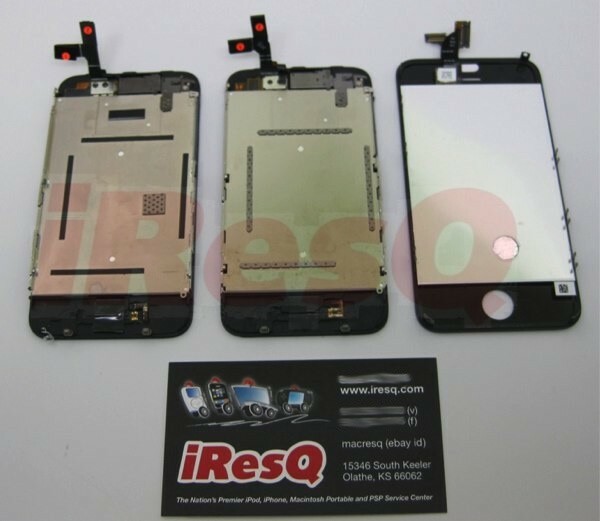 There's very little to go on at this point, just a series of photos posted to a forum by a device repair company, but if their suspicions are correct, this could be the front panel of the presumably upcoming "iPhone 4G." iResQ claims to have obtained the sample part from a "reputable source" that has provided genuine parts to it in the past, parts which iResQ uses for repairing products -- even if those products don't exist yet. Interestingly, the LCD is factory glued to the digitizer on this 4G wannabe (like on the original iPhone), as opposed to them being separate elements on the 3G and 3GS, meaning higher replacement costs. But most notable about this face part is the fact that it's roughly 1/4-inch taller than previous generations. Your guess is as good as ours as to why it's taller, since the screens themselves seems very similarly sized. We're also incredibly curious as to whether this here face would line up with that supposed 4G midboard we saw a little while ago. So, elaborate scam by iResQ to get its name up in lights? Prank played by a fun-loving parts supplier? Earth shattering iPhone form factor change unearthed? And just what is that "reflective surface" supposed to be for? Beats us. The flip side of the screen can be seen after the break.